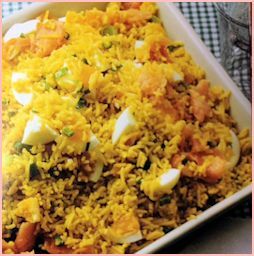 Kedgeree is great for breakfast or brunch. It's perfect for a Christmas Breakfast - you can prepare it in advance and put it together on the morning. It's good if you've had a 'late night' and want something substantial to start your day - it's good for an early lunch/late breakfast or tea - any time really. There are many variations - you can add a pinch of curry powder if you like - its origins are Indian. 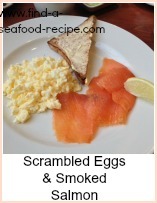 This recipe is for the most basic, pure version - I just love it - the saltiness of the fish, the creamy eggs and rice. It's simple to cook and easy to eat. 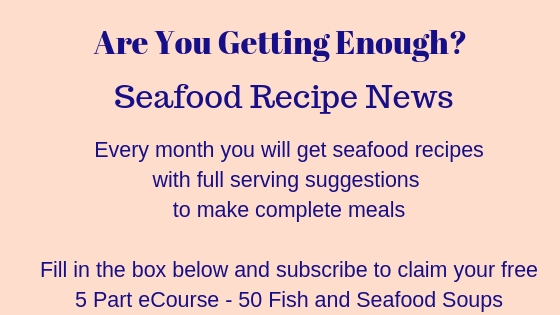 You could easily use leftovers - cook a bit extra fish or rice to make things easier. The instructons here are for cooking from scratch. If you want to try it curried, then add a pinch to a teaspoon of curry powder to the butter before you combine the dish. 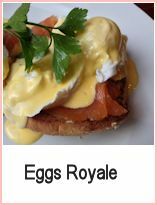 This is the perfect breakfast if you want something 'substantial' to last a long time until dinner. You can prepare it in advance, cook and cool the rice, fish and eggs the day before. Refrigerate and then assemble it in minutes in the morning for a hot breakfast, full of protein to last you. Put the smoked haddock fillets into a large pan. Pour in the milk and then add water to cover. Bring up to the boil and simmer for around 5 minutes until the fish is cooked. Strain off the liquid to use to cook the rice. Measure the rice in a jug and use twice the volume of liquid to rice - pour the fish liquid in and top up with plain water. Put the rice into a pan with the liquid and bring up to the boil. Turn the heat down and simmer about 10 minutes until soft. Strain the rice - there shouldn't be a lot of liquid left by this point. While the rice is cooking, skin and flake the fish, removing all bones. 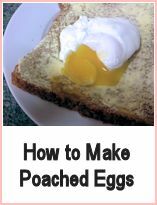 Chop 2 eggs into rough pieces. Melt the butter in a large frying pan - a wok's a good size. If you want to add curry powder, then do so at this point - try a teaspoon or so of your favourite mix and allow it to cook in the melted butter for about a minute. Add the rice to the butter and stir round until heated through. Add the fish and mix in - cook for around 2 minutes until heated through. Add the chopped eggs - stir thoroughly to mix. Add the parsley - stir through and serve immediately. If you want to read about the history of Kedgeree then this article by the UK Daily Telegraph explains how it came via India and the British and Scottish - they introduced the smoked haddock bit. It's quite interesting and only a five minute read.